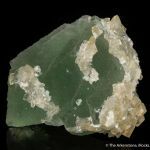 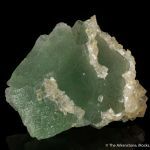 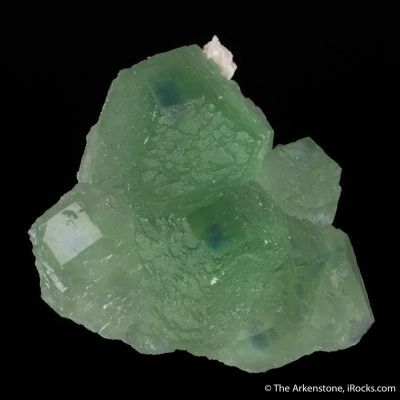 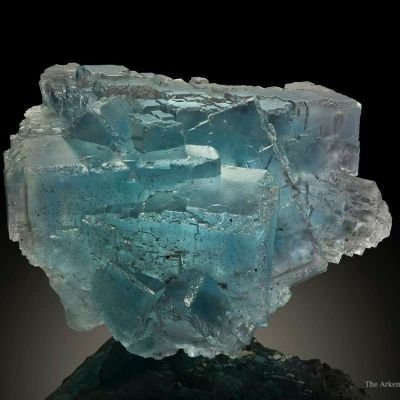 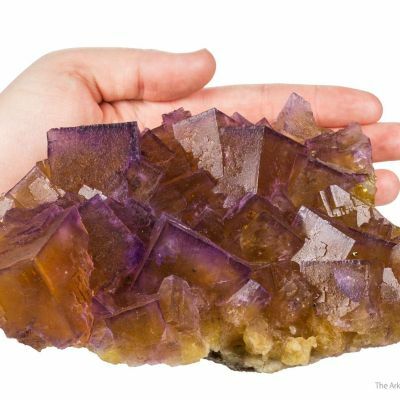 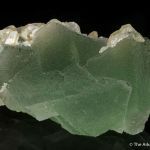 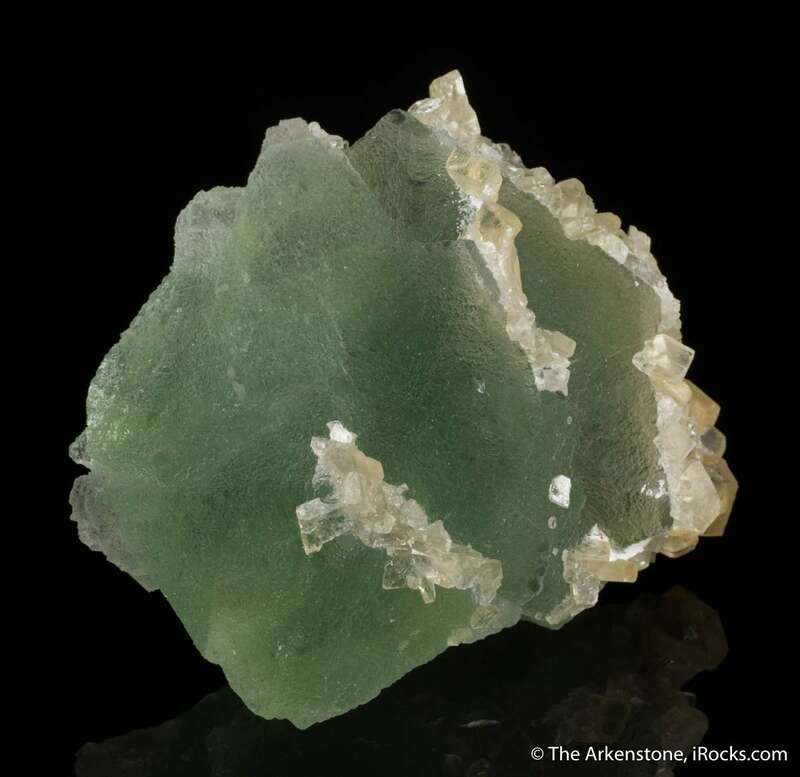 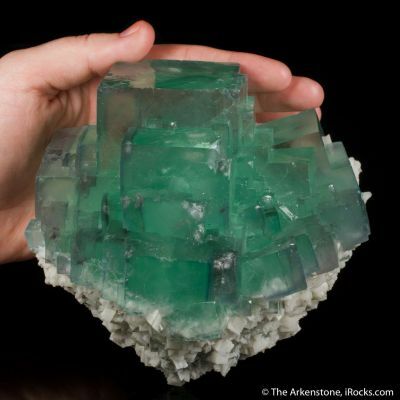 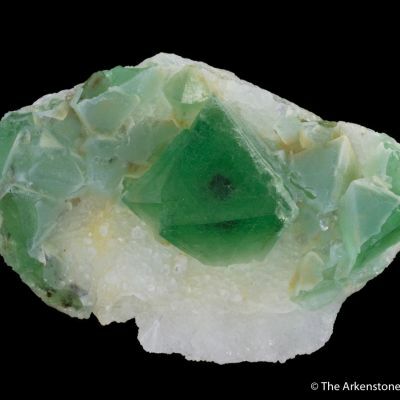 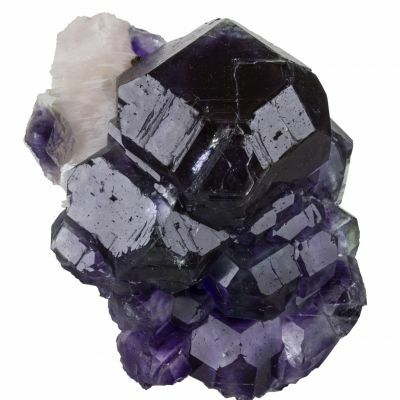 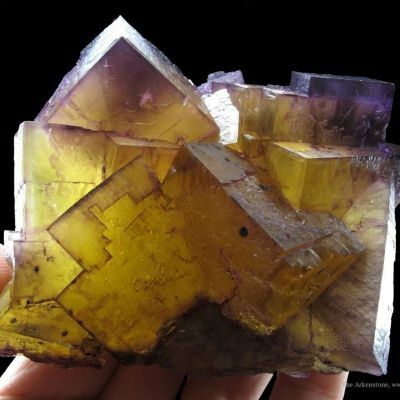 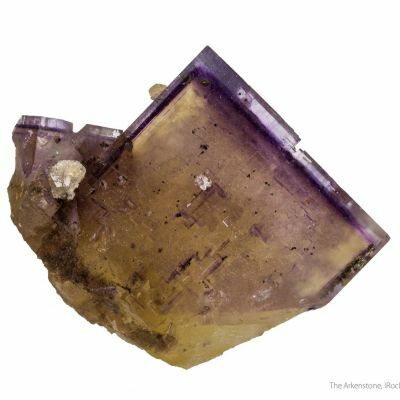 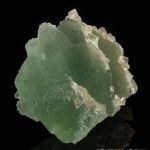 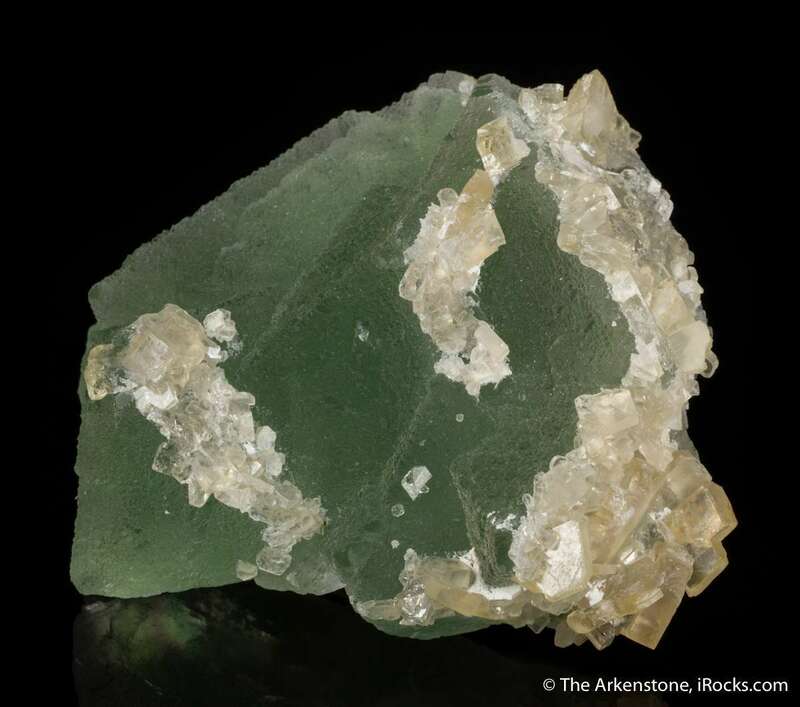 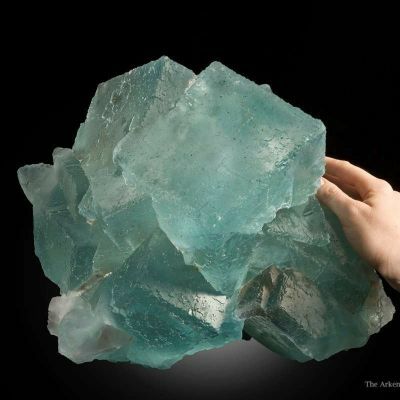 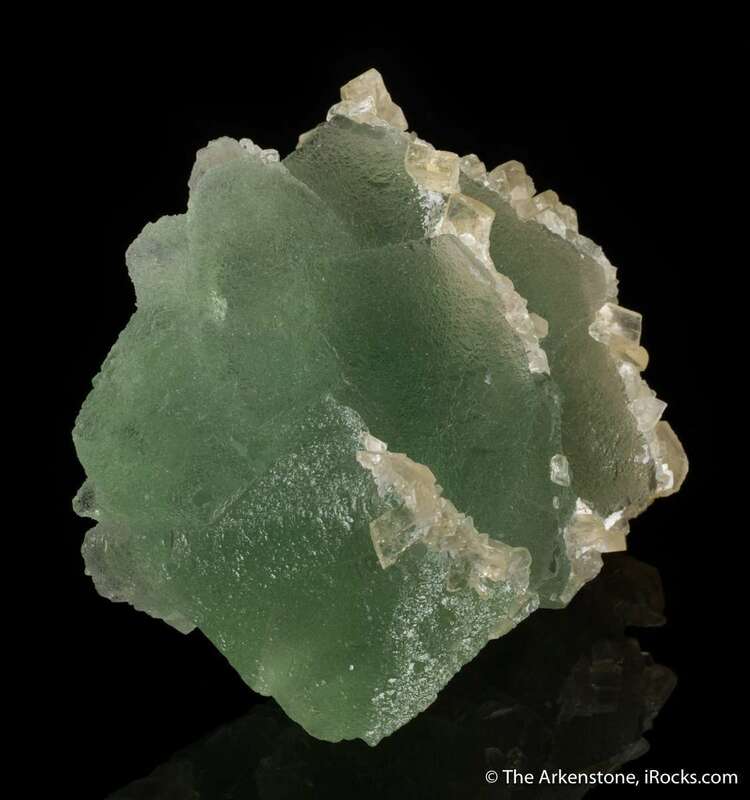 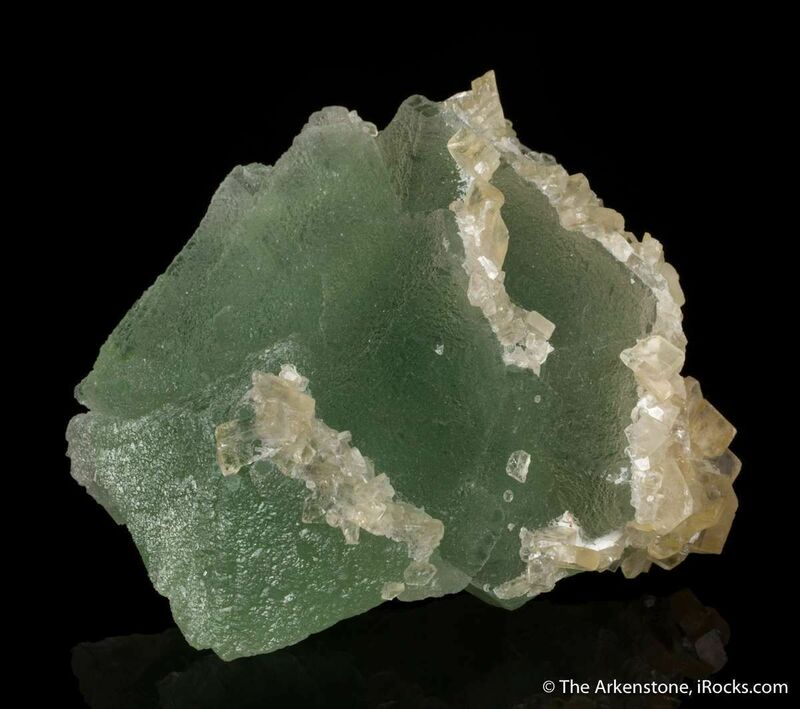 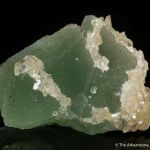 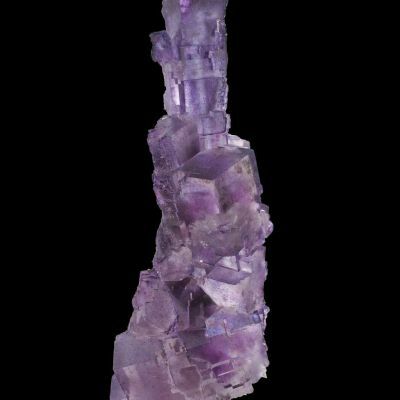 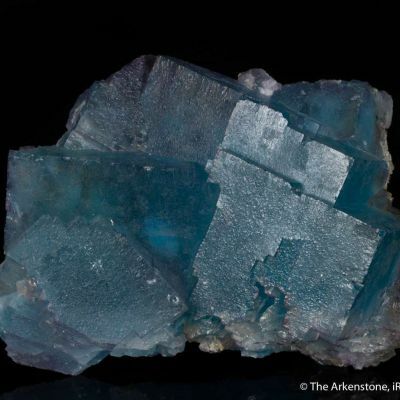 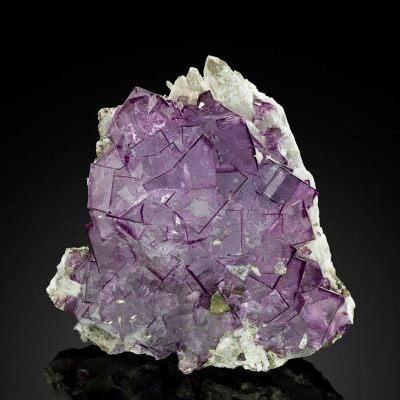 Rock Candy Mine has produced some of the best Canadian fluorite, but it was decades ago in the 1970s and 1980s, mostly. 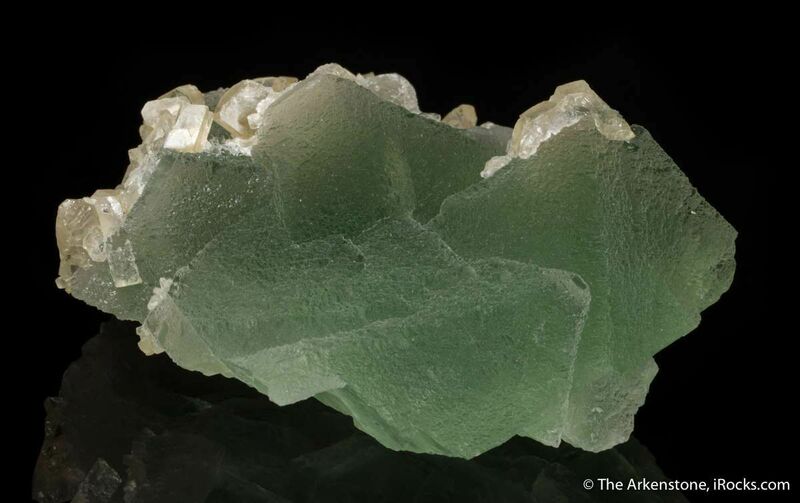 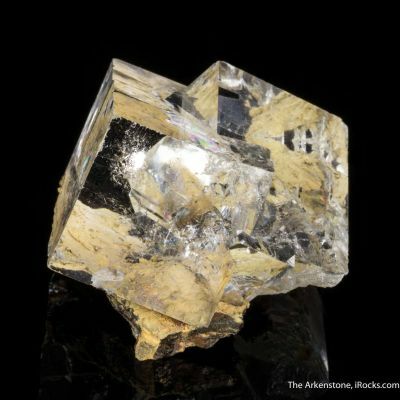 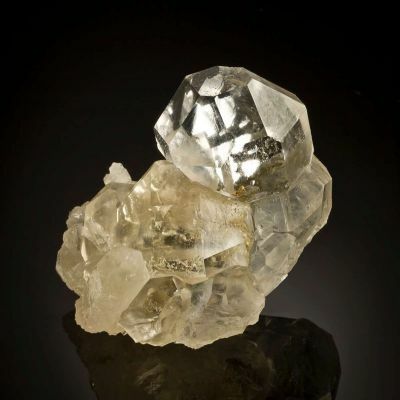 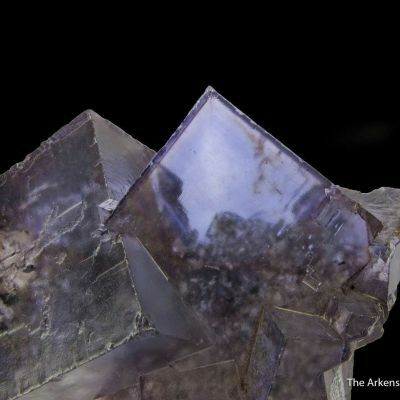 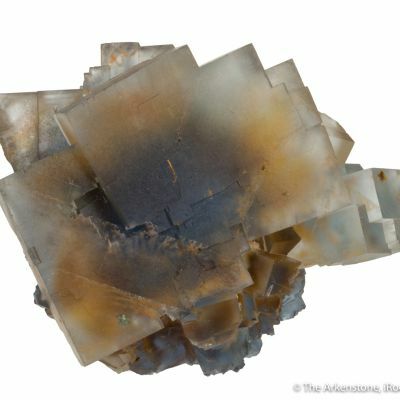 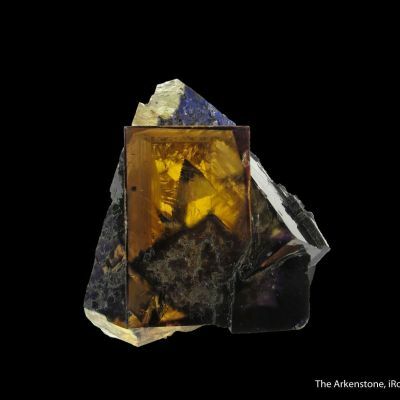 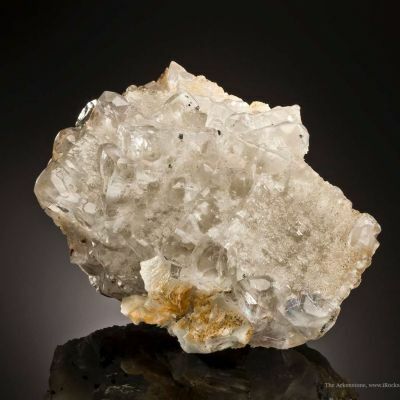 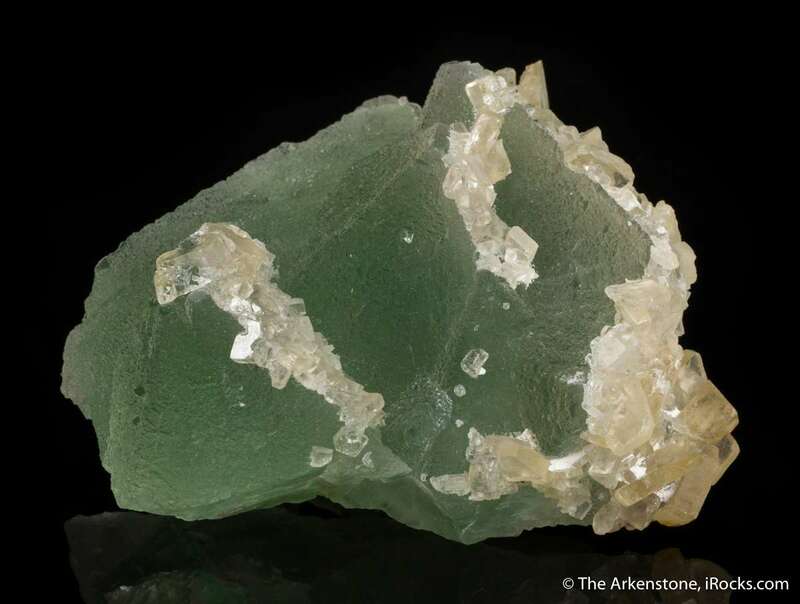 This specimen is a large translucent plate with sharp octohedral crystals, coated with little barites on some faces (otherwise, it would easily be mistaken for a Hunan, China piece!). 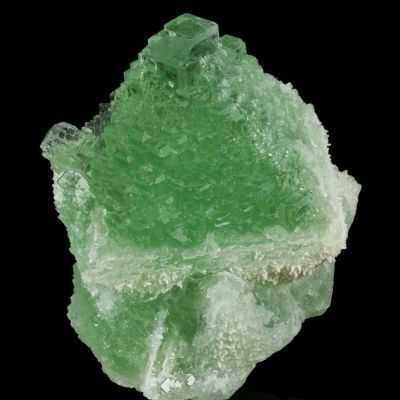 It displays from several angles and is a really showy example of a defunct locale, we seldom see for sale. 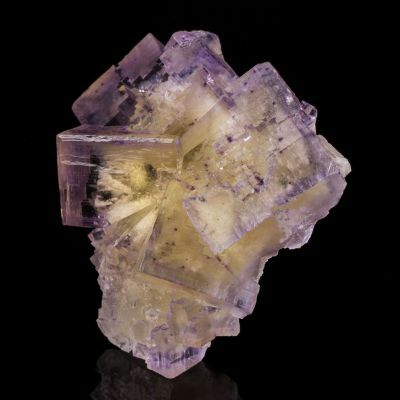 From the collection of Dr. Art Soregaroli.